Just like everybody else... I'm loving the Olympics! I'm not good at keeping up with them during the day but I always watch the recap at night. 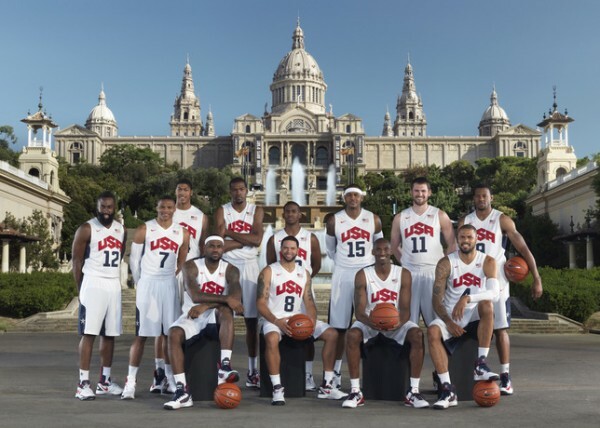 I am especially loving basketball because my NBA men are going crazy with the wins out there! My boyfriend is apparently a big Argentina fan (??) so we had a lovely time watching the USA/Argentina game on Monday!! I'm loving the new sheets I bought today. I'm pretty sure I will never get out of bed ever again. I'm loving that I spent the day with my boyfriend this week! He recently moved out of town so I drove on down there and we had a lovely day!!! Delicious food, fun walks around town, and tons of relaxing. Yay! I'm loving my cousins!!! All day err day. Today they came to school and although we made more of a mess than anything, we checked a bunch of stuff off of my list and had so much fun!! Please note that I have WAY TOO MANY books. I am about to throw up just looking at them. I'm loving that Kristin at Little Miss Glamour Goes to Kindergarten made me some special schedule cards! Having Religion and Mass as two of my subjects kind of limits me as to schedule cards I can use... but Kristin was nice enough to add a few for me and they are crazy cute! I'm loving Stephen Colbert. Love love love love love. He makes me die laughing every day. I'm loving that my cousins and I are taking a day trip tomorrow! We have been planning this all summer and I am soooOOOooo pumped!! OK Jill- dish on your sheets-whatcha get? I have some jersey knit ones that I L.O.V.E. and am always on the hunt for new ones. I can so relate to never wanting to get out of bed-although I should probably sleep on sandpaper because I have such a hard time gettin up and out! When I start moving things into my new classroom I am *terrified* of the pile of books I will see. I'm sure it will be twice the size of yours. I definitely have a problem. lol. Where are you headed for your day trip? Sounds fun!! So TpT is having a back to school sale and I am having a linky party for bloggers that are also hosting sales in their store. I'd love you to come link up if you are planning a sale! There's no such thing as having too many books. In fact, I think you could use a few more. *wink, wink* I'm loving the awesome Tanny McGregor workshop I just got home from and also my new washer and dryer that sing to me when they finish their cycle. I have 10,000 plus books and buy more all te time. Makes the fiancée' bonkers! 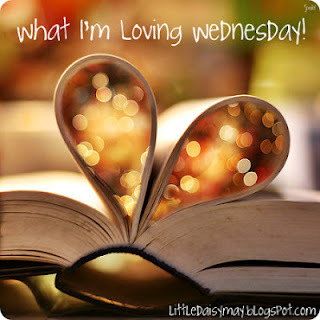 Love the " what I'm loving Wednesday!". I might borrow that!